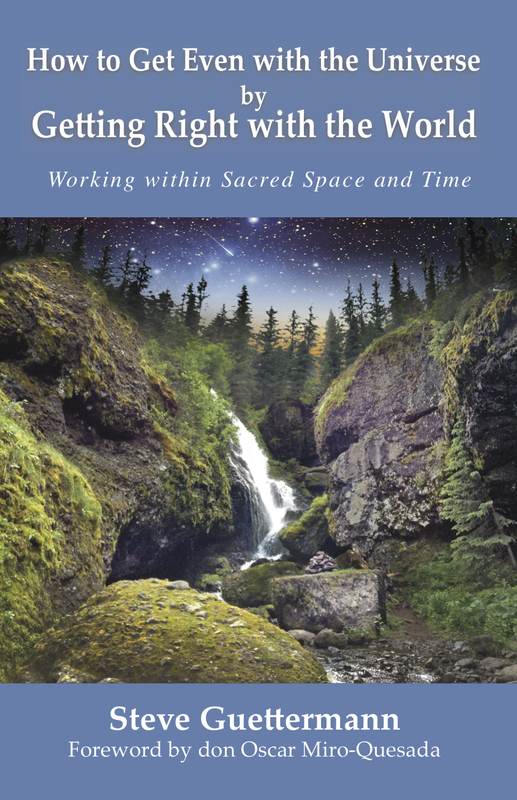 My latest book, How to Get Even with the Universe by Getting Right with the World: Working within Sacred Space and Time, is now available from Amazon.com and perhaps your local bookstore. Regardless of how you get the book, if you come back to this site to let me know, you will receive these excellent bonuses: a downloadable 24-month 2017-2018 “How to Get Even” calendar with inspirations photos and quotes, and four guided meditation recordings with extensive meditative tips and breathing patterns. These meditations are extremely powerful and have never been offered anywhere else outside of my private classes. So buy the book for $16.99, (plus shipping, if applicable) then return to this site’s bonus page to fill out the confirmation form and receive nearly $120 in bonuses absolutely free. * Your information is kept confidential and never shared. *A free online Q & A series will likely be available as a bonus soon, too.